What is the Anne Arundel SECAC? 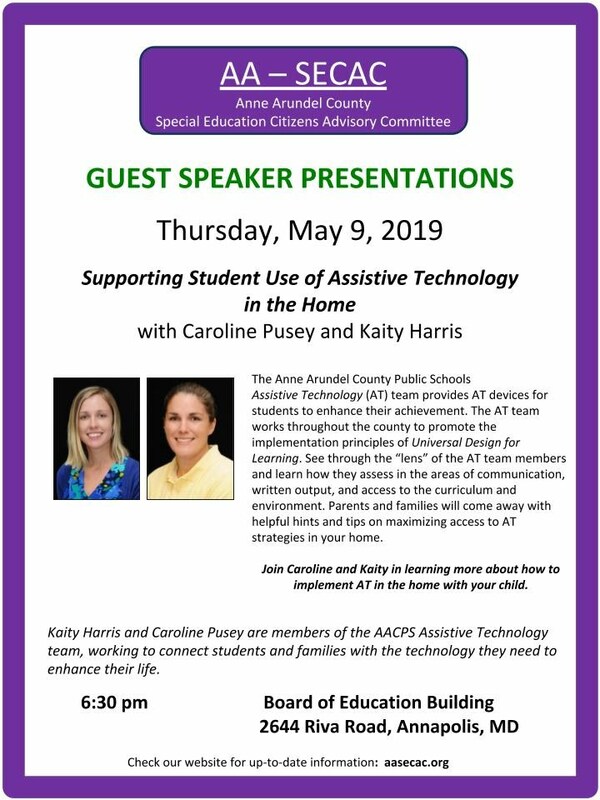 Welcome to the Anne Arundel County Special Education Citizens' Advisory Committee's home on the web. AA-SECAC is an advisory committee to AACPS made up of AACPS staff, community members and parents like you! We partner with community leaders, service providers, AACPS educators and administrators on issues related to ensuring a Free and Appropriate Public Education (FAPE) for students with special needs and disabilities. We advocate for positive changes in special education in the Anne Arundel County Public Schools. We invite you to join us at our next meeting or event!